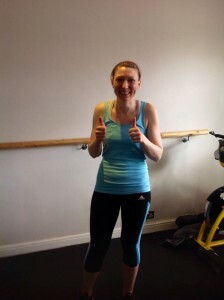 Personal training from a private studio and Southampton's friendliest Boot Camp! Healthy snacks that aren’t stodgy, sugar-laden or processed can be one of the biggest problems throughout the day, not just for my Personal Training clients but also for me too! I love finding new ideas and experimenting with old classics as I tend to get bored very easily eating the same things each day! 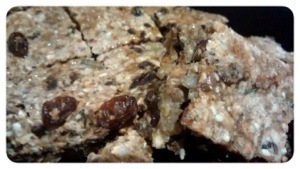 I came across this recipe from a food-coach friend and have tweaked it slightly. They are packed with omega-3s, essential fatty acids and the good fats that will keep you full, satisfied and nourish your skin, hair and nails. Preheat oven to 160. Mix all ingredients together and leave for 5 mins to set. 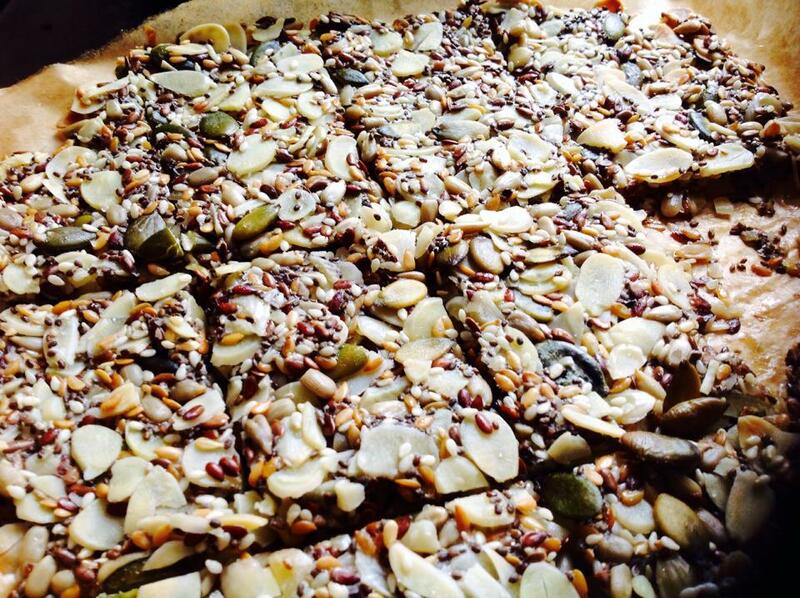 Grease a baking tray with the coconut oil and transfer the mixture, adding a little sea salt if desired. Bake for approx 30 mins until golden brown. Cut or break into squares and serve with homemade hummus or mashed avocado. This entry was posted in Recipes and tagged abs, boot, bootcamp, camp, class, club, detox, diet, digestion, eating, fitness, food, gen, gluten-free, green, gym, health, healthy, juice, loss, new, nutrition, paleo, personal, personal trainer, personal training, plan, preece, raw, recipe, shake, slimming, slimming world, smoothie, solent, southampton, studio, trainer, training, vegan, watchers, weight, weight loss, workout on June 9, 2017 by FASTER-Gen.
Having never slept well as a child or teenager, it wasn’t until I’d sorted myself out emotionally and physically, that I really began to reap the tremendous benefits of proper sleep. We produce most of our growth hormone when we sleep. Growth hormone (GH) plays a fundamental role in fat-loss, increases our calcium retention (to help maintain bone mass), reduces fat storage, supports our immune system, and keeps our organs operating smoothly. Essentially, as so many aspects of our health depend on optimal levels of GH, these are all dependent upon sleep. 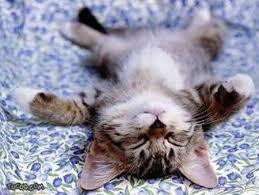 While sleeping, the body balances two hunger-controlling hormones – ghrelin and leptin. As hunger-management is a fundamental part of weight loss, sleep is paramount. If you have a full nights sleep, you’ll wake up not hungry. Several research studies have shown a strong correlation between limited sleep, high levels of the hunger hormone Ghrelin, low levels of the satiety hormone Leptin, and obesity. In a nutshell (and from personal experience!) lack of sleep can make you fat. How much sleep should I get? Like nutrition, sleep needs are unique to the individual and their lifestyle. My optimum time is 8-9 hours. Any less and I feel terrible, any more and feel lethargic. Sleep also mitigates aging, helps reinforce lessons in the brain, and informs our natural circadian rhythms (our 24 hour inner processes). How can I sleep better? It should be dark, quiet and free of electronic devices. Avoid watching TV at least an hour before bed and using iPads to read with (we still have books and magazines!) If your phone needs to be kept on for an alarm, try not to have it charging in your room and make sure you turn the wifi off. Our bodies love repetition. Avoid caffeine after noon and alcohol in general (you’ll see the difference for yourself!) Reading something light before lights out is a great way to wind down and prepare your body for sleep. Going to bed and getting up at the same time will set your inner alarm clock, balancing your circadian rhythm and enhancing sleep quality. I hope that helps and wish you sweet healthy dreams! This entry was posted in Weight Loss and tagged abs, boot, bootcamp, camp, club, detox, diet, digestion, eating, fitness, food, gen, gluten-free, green, gym, health, healthy, interview, juice, loss, new, nutrition, paleo, personal, personal trainer, personal training, plan, preece, raw, recipe, shake, slimming, slimming world, smoothie, solent, southampton, studio, trainer, training, vegan, watchers, weight, weight loss, workout on June 9, 2017 by FASTER-Gen.
What Can Functional Training do for You? Functional training is, essentially training for your function: whatever it is you want to achieve with your Personal Trainer. That might be getting through each day without back pain stopping you, performing your best at football or losing stubborn body fat and wearing the clothes that flatter you. Everyone’s individual goal is personal to them. Before any of us discovered Functional training, I personally felt frustrated at only being able to get certain clients so far. Long term pains/niggles would temporarily disappear following a training session, but often return a few days later. I wanted to give them their money’s worth and didn’t feel satisfied that I was making a permanent difference. Losing impressive amounts of body fat and increasing fitness levels was one thing, but my qualifications as a personal trainer and sports massage therapist only served to get so far in terms of actually eliminating long-term pain permanently. When you train your body for your function, something wonderful begins to happen. My training methods now involve treating individuals as unique WHOLE beings, rather than parts or pieces of the person. My first functional training diploma enabled me to determine the cause of the pain and eliminate it through movement, rather than just treating the symptoms. To have my clients tell me they can now get out of bed without worrying about their backs ‘going’, lift shopping bags and grandchildren pain-free and essentially live the lives they want to, is the ultimate achievement for me as a trainer. We believe everyone has the right to a healthy and happy quality of life. One fabulous gentleman came to me six years ago, believing he would eventually need a knee replacement. Now he can’t actually remember which knee it was! His wonderful wife had suffered hereditary high blood pressure for over forty years, following childbirth. It is now the lowest it has ever been, so much so her doctor thought the monitor had broken. Both of them are fitter and in better shape than they were ten years ago. 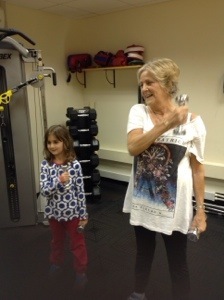 Functional Training: suitable for any age! We work with a variety of individuals that come to our studio for personal training and more. Some may have had little success with other health practitioners and are subsequently looking to take a different approach. We measure our success from our clients not having to keep returning for the same problem. From working with indisputable scientific fact (gravity, ground reaction and momentum) the results speak for themselves. This entry was posted in Movement Retrieval, Weight Loss, Workouts and tagged abs, boot, bootcamp, camp, class, club, detox, diet, digestion, eating, fitness, food, gen, gluten-free, green, gym, health, healthy, interview, juice, loss, new, nutrition, paleo, personal, personal trainer, personal training, plan, preece, raw, recipe, shake, slimming, slimming world, smoothie, solent, studio, trainer, training, vegan, watchers, weight, weight loss, workout on March 11, 2017 by FASTER-Gen.
It’s (almost) that time of year again. For me and my team of Personal Trainers, the next few weeks get as busy as the post-Christmas rush. We get a small taster of sunshine, the clothes come off…and perhaps back on again when we realise how much work needs to be done. Fortunately, this can be avoided. The key to being beach body ready is to get there in advance. How? By starting NOW! These safe and effective tricks you can employ straight away will help you avoid crash-dieting and quick-fix fads. The cold winter months leave us wanting to warm up from the inside. 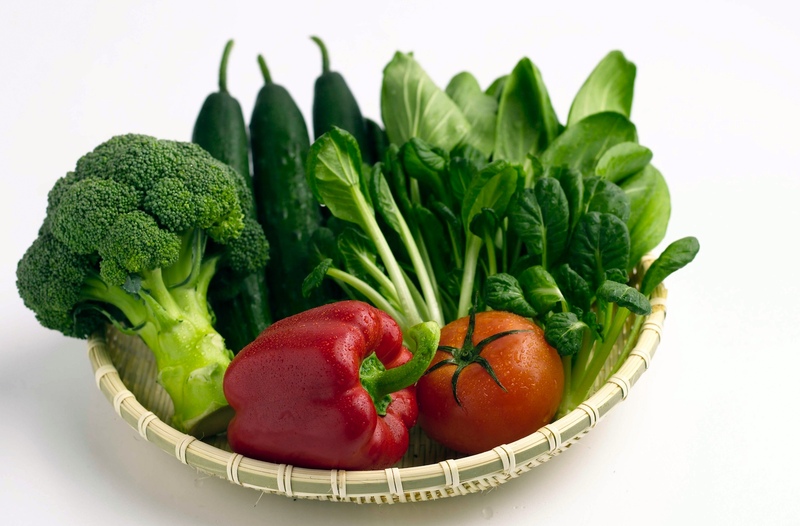 Less raw veg therefore gets consumed, often leading to us overeating starchy carbs like potatoes. Too much can lead to weight gain, when not burned off. Start by incorporating as much raw veg as possible into your diet. Sides of leafy green salad, sliced carrots, peppers and cucumber as snacks, even green smoothies (recipe available on ptgen.co.uk) for breakfast will give your body the fibre it needs, leaving you feeling less bloated and sluggish. Start today and watch your energy levels soar. Like fibre, water often ends up taking a back seat in the winter; replaced with tea/coffee. Too much caffeine and not enough water may actually end up making you fat. How? One function of your liver is to help your body burn fat. When we are dehydrated, the liver pauses fat-burning in order to help out the kidneys. Fat-loss therefore slows right down. Getting into the habit of hydrating by the time summer arrives will only do your body good. Replacing your morning tea with hot water and a slice of lemon puts your body in fat-burning mode for the day. Keeping a bottle or glass of water to hand also acts as a reminder to sip constantly. If you feel thirsty, your body is already dehydrated! If your life currently contains no physical activity, there’s no better time to start. 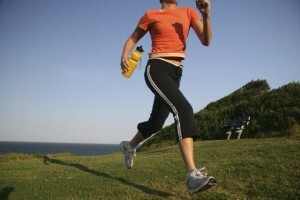 The days are longer; lighter evenings creating even more opportunities for outdoor exercise. Think about how much you physically move each day. How this can increase? We’re not designed to sit staring at a computer for eight hours a day! Even just running up and down the stairs a few times, is a great way to get out of breath. 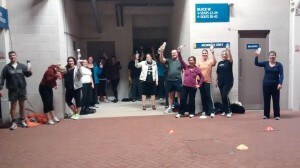 Our Boot Camp attendees get their fitness fixes by attending twice a week. The real results start to show when they try to move as much as they can throughout the rest of the week. Summer bodies are made in the winter. Get ready to say hello to yours! This entry was posted in Weight Loss and tagged abs, boot, bootcamp, camp, class, club, detox, diet, digestion, eating, fitness, food, gen, gluten-free, green, gym, health, healthy, interview, juice, loss, new, nutrition, paleo, personal, personal trainer, personal training, plan, preece, raw, recipe, shake, slimming, slimming world, smoothie, solent, southampton, studio, trainer, training, vegan, watchers, weight, weight loss, workout on March 11, 2017 by FASTER-Gen.
with exposure to sunlight! During the winter we can become Vitamin D deficient so now is a good time to go outside, get some fresh air and get some sunlight on your bones! Vitamin D plays many vital roles within our bodies. It may play a key role in keeping our cognitive function good as we age, as well as helping the absorption of calcium and phosphorus into our bones, keeping them healthy. Not only this, it plays an important role in keeping us at a healthy body weight. So if you’re not coming to Bootcamp tonight (you can explain yourself later..) get out there and catch some rays like I did earlier when I attempted this killer fat-burning workout! This entry was posted in Weight Loss, Workouts, Worokut Plans and tagged abs, boot, bootcamp, camp, class, club, detox, diet, digestion, eating, fitness, food, gen, gluten-free, green, gym, health, healthy, juice, loss, new, nutrition, paleo, personal, personal trainer, personal training, plan, preece, raw, recipe, shake, slimming, slimming world, smoothie, solent, southampton, studio, trainer, training, vegan, watchers, weight, weight loss, workout on March 11, 2017 by FASTER-Gen. If you are looking to make a healthier change in your life, think about who you spend the most time with. If you’re fortunate enough to have a circle of trustworthy friends that leave you feeling great about yourself and you look forward to seeing; research shows you are far more likely to succeed. Jim Rohn stated “we are the amalgamation of the five people we spend the most time with.” Who are yours? How do they make you feel? 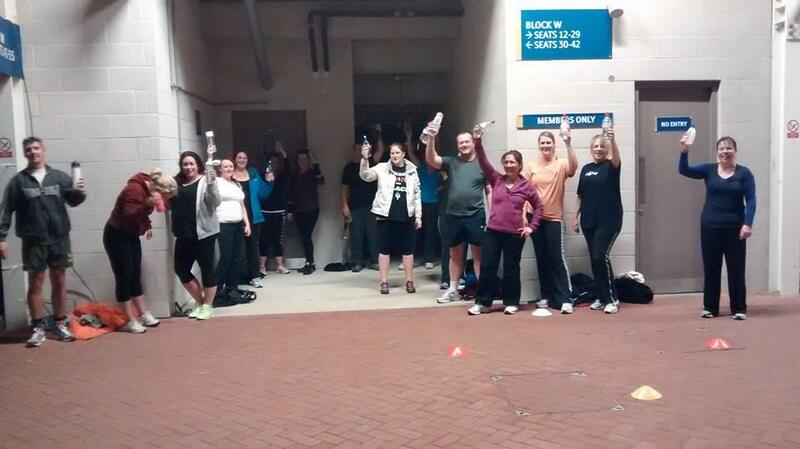 The friendliest Boot Camp in Southampton – ours! True friends will support your goals. I have previously had ‘friends’ and worked with people that have wanted me to succeed – but only on THEIR terms, i.e. as long as I wasn’t more successful than them. Or to be slim (but not as slim as them.) Does this sound familiar?! When you are trying to change something, this should not affect the equilibrium of your friendship. If it does, ask yourself what kind of friend they are. It is important to remember insecure people take out their insecurities on the people around them; bringing them down in order to make themselves feel better, rather than taking a good look at themselves. True friends will support you unconditionally, not encourage you to stray off your paths or make you feel guilty. Positive reinforcement, rather than competition is essential when working towards something. You will attract whatever you project. If you constantly rant on Facebook about how terrible life is, how will this make you look and who wants to read that?! This is how new friendships are formed! We are fortunate enough to have created a friendly non-competitive environment at our Boot camp class. A newcomer told me last week everyone chatted to her immediately and she felt very welcome, rather than the ‘new girl’. True friends will stay true friends regardless of your size and fitness. They are friends with you for the PERSON you are! This entry was posted in Boot Camp, Weight Loss and tagged abs, boot, bootcamp, class, club, detox, diet, eating, fitness, food, gen, gluten-free, green, health, juice, loss, new, nutrition, paleo, personal, personal trainer, personal training, plan, preece, recipe, shake, slimming, slimming world, smoothie, southampton, studio, trainer, vegan, watchers, weight, weight loss, workout on March 11, 2017 by FASTER-Gen.
BBC Radio Solent’s Katie Martin loses 4.2 inches in just five weeks! A huge congrats to the lovely bride-to-be Katie Martin of BBC Radio Solent, who has been training hard in the lead up to her big day – this Saturday! Through functional training and clean nutrition, Katie has lost a fantastic total of 4.2 inches off her body in just five weeks! Looking forward to resuming the training after your fabulous honeymoon! This entry was posted in Personal Trainer and tagged abs, beginners, boot, bootcamp, camp, class, club, detox, diet, digestion, eating, exercise, fitness, food, gen, gluten-free, green, gym, health, healthy, interview, juice, loss, new, nutrition, paleo, personal, personal trainer, personal training, plan, preece, raw, recipe, shake, slimming, slimming world, smoothie, solent, southampton, studio, trainer, training, vegan, watchers, weight, weight loss, workout on June 13, 2016 by FASTER-Gen.
I’ve been looking to make some for a while, mainly because my gorgeous fiancé works occasional night shifts and is always looking for new and exciting snack ideas. They are slow-release energy and sweet enough to satisfy sugar cravings. They are also a great breakfast on the go solution. This recipe is my other half’s favourite combo so far. Preheat oven to 190 or gas mark 5. Combine all the ingredients in a mixing bowl. Transfer evenly to the tin. 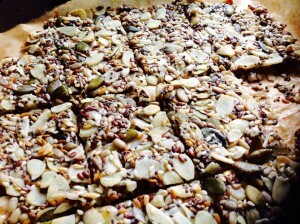 Place in the oven and bake for 30min. Remove from the oven when golden brown and slice into little bars. Drizzle the coconut nectar over the top for extra sweetness. This entry was posted in Recipes, Weight Loss and tagged abs, boot, bootcamp, camp, class, club, detox, diet, digestion, eating, fitness, food, gen, gluten-free, green, gym, health, healthy, juice, loss, new, nutrition, paleo, personal, personal trainer, personal training, plan, preece, raw, recipe, shake, slimming, slimming world, smoothie, solent, southampton, vegan, watchers, weight, weight loss, workout on June 13, 2016 by FASTER-Gen. I first decided to change my unhealthy lifestyle, and lose the weight I’d accumulated from years of eating rubbish and avoiding exercise, at age seventeen. My first step was swapping my food choices to low-fat whatever I could find, the white pasta and baguettes to brown and skimmed milk instead of semi, in my low-fat cereal. When my weight continued to pile on and I felt even worse (constant tiredness, bloating, lethargy, disrupted sleep…) as well as extremely frustrated, I thought surely there had to be another way?! I found out the hard way just how much these hindered weight loss – they had the exact opposite effect! These types of ‘foods’ have been tampered with, now containing additional sugar, chemicals and salt to make them palatable and often addictive. A good rule of thumb is if you spot any ingredient on a food label you cannot pronounce, it probably isn’t any good for you. Not only does dairy create excess mucus and slow down digestion, its acidity levels are so high, they actually encourage fat storage. Fat and disease cannot survive in an alkaline environment. Dairy therefore hinders weight loss quite spectacularly. Plenty of non-dairy calcium sources exist, including almonds, tahini, kale and white beans. Swapping to brown may be the lesser of the two evils, but bread and pasta are still processed foods. The long-term effects of regular wheat/gluten consumption have been found to contribute to a range of digestion problems; often labelled IBS. Many of my Personal Training clients had previously believed they were ‘addicted’ to these kinds of carbs, from craving them constantly. In some ways, they were. This is because the more wheat consumed, the more the body expects it. Wheat consumption creates lethargy, which can make exercising an even bigger challenge! For me, it wasn’t as simple as cutting these foods completely and never looking back. It took a while to realise their true effects on my health and size. I eventually linked the tale-tale signs of feeling drained, having a dodgy stomach and wanting to go to sleep after eating them. These responses only confirmed how much my body was thriving without them. Try cutting them out for yourself and see how much yours can thrive too! This entry was posted in Weight Loss and tagged abs, beginners, boot, bootcamp, camp, class, club, detox, diet, digestion, eating, fitness, food, gen, gluten-free, green, gym, health, healthy, interview, juice, loss, new, nutrition, paleo, personal, personal trainer, personal training, plan, preece, raw, recipe, shake, slimming, slimming world, smoothie, solent, southampton, studio, trainer, training, vegan, watchers, weight, weight loss, workout, world on June 13, 2016 by FASTER-Gen.
Back on 93.7 Express FM: fads, fitness…and Jason Donovan! Health and fitness myths, and how to stay on track! It was so great to be invited back on to 93.7 Express FM to chat once again to the awesome Miles Henson! 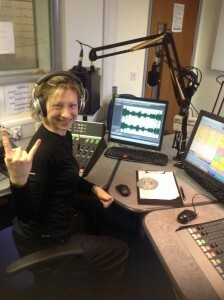 January 2014: Gen back on 97.3 Express FM! – surround yourself with positive people: we are the amalgamation of the five people we spend the most time with. Make sure yours are radiators and not drains. – be patient: take things one step at a time, one day at a time, one meal at a time. Results that are permanent are achieved over time, not instantaneously. – be kind to yourself: focus on what you CAN do, not what you can’t do. And think about what you HAVE rather than what you want. Often this is all it takes to bring us back to the present moment and feel grateful. And when we have gratitude on our mind, it’s impossible to feel anything other than peace. This entry was posted in Boot Camp, Personal Trainer, Radio, Weight Loss and tagged abs, beginners, boot, bootcamp, camp, class, club, diet, digestion, eating, exercise, fitness, food, gen, gluten-free, green, gym, health, healthy, hedge, hedge end, interview, juice, loss, new, nutrition, paleo, personal, personal trainer, personal training, plan, preece, raw, recipe, shake, slimming, slimming world, smoothie, solent, southampton, studio, trainer, training, vegan, watchers, weight, weight loss, workout on June 3, 2016 by FASTER-Gen.